The Sirloin has the best taste and flavor. The marbling is vivid, and when heat is applied using the steel plate, the high-quality fat is saturated into the red meat, delivering a taste and flavor which cannot be described. The Fillet is the tenderest meat. When it comes to fillets handled by Mouriya, it is perfectly marbled and holds also the flavors that are unique to a sirloin steak. What is a rib eye? 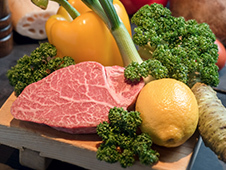 The Rib eye comes from the part called loin that is connected to sirloin and has fine marbled meat. The shape differs from the sirloin however, it is in no way inferior in taste or flavor to the sirloin. 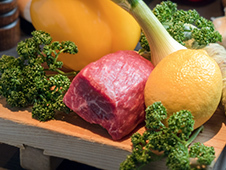 The Rump is basically red meat, however, our high quality meat has some marbling so you can fully enjoy the taste and flavor. It is also famous for steaks. 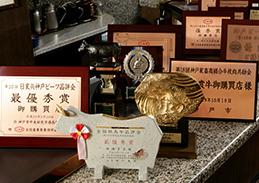 Kobe beef is the brand name of cows that come from the Black Wagyu breed of the Tajima cows from the northern part of Hyogo (what used to be the kingdom of Tajima), and are graded over No. 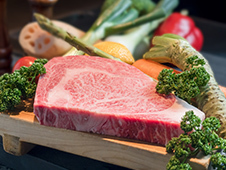 6 for their BMS value (Beef Marbling Standard).Although it does not have the flamboyant look of marbled meat at first glance, its elegant and light fat and fine fibers delivers a taste and flavor that are definitely superb compared to meat from other prefectures. What is Mouriya’s strictly selected beef? 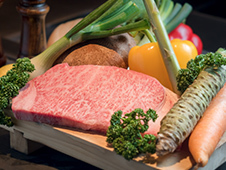 Mouriya’s strictly selected beef is a high-quality beef that comes from Tajima cattle, the breeding cattle of Kobe Beef. We fatten the virgin cows for 32 months and avoid inbreeding, to maintain the quantity of the beef. 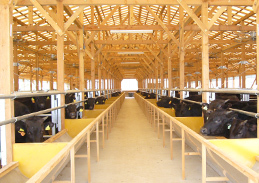 We mainly handle cattle that have been breed in the same cattle barn as the pureblood Tajima cattle on the ranches contracted with Mouriya in Yabu city; the hometown of Tajima cattle. We proudly present this beef as it tastes every bit as good as Kobe beef.